It’s been a decade since VW expanded the Passat range, with a new model rollout that was as necessary as it was impressive. The pre-2004 Passat had been plagued by design faults that left a lot of motorists fuming. A decade on, later model Passats are finally beginning to develop some problems. If you drive a VW Passat (04 onwards) here’s a quick overview of what you’re driving and what you should beware of. 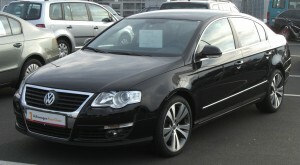 The most significant addition to the 04 Passat family of engines came in the form of a 2.0 litre, 134hp, 4-cylinder diesel. Added as an alternative to the GL and GLS’s 1.8 litre, 170hp, 4-cylinder petrol engine, it made quite an impact on those seeking fuel economy. Slightly zippier was the GLX, with a 2.8 litre, 190hp, V6 engine that delivered better on the open road, but remained economical enough around town. For those who preferred power over prissiness, the W8 gave it up with a 4.0 litre, 270hp, 8-cylinder engine that left the rest of the range in the dust. Three transmissions were available from 2004. The petrol driven GL and GLS range came with a five-speed manual gearbox, while the five-speed automatic was introduced for the diesel option. Although the W8 was available with the 5-speed automatic, many people opted for the six-speed manual option. From 04 onwards, the Passat offered a mind-boggling array of standard and optional features. The basic GL package offered air conditioning, power windows, power door locks, anti-lock brakes, traction control, and front and side airbags. Meanwhile the GLS stepped this up with a sunroof and alloy wheels, while the GLX offered heated leather seats. Not to be outdone, the W8 threw all of this in the mix with the option of a tighter suspension and a VW designed all-wheel-drive system. When a Passat develops problems it’s scrap time. Numerous people have received no warning that there Passat was about to die and there are endless accounts of the car leaving them stranded in the middle of nowhere. Even regularly maintained Passats have had major issues with fuel pumps, water pumps, timing packs, coil packs, oil sludge, cambelts giving out – the list goes on and becomes increasingly dangerous. Sadly, the last decade of Passats are now time-bombs with pretty features. Be prepared that something could happen and you’ll receive no warning. Problems will then recur, multiply, and cost more than the car is worth. Scrapping a VW Passat will be the only option for this once great car that is now an accident waiting to happen.